Charlie Mom Chinese restaurant has been in the Village since 1983. This coming Wednesday, August 26, will be its last day. Why is it closing? I called to ask. "Rent going too high." 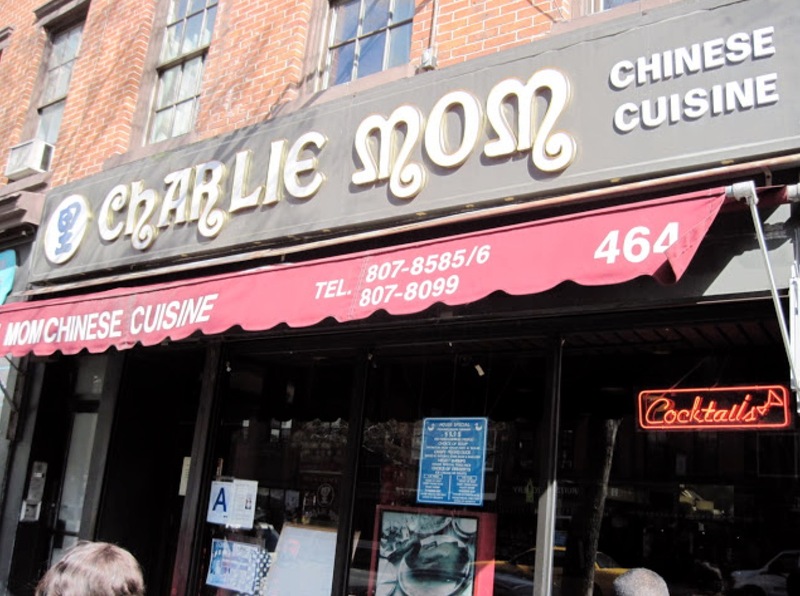 In 2011, Eater paid a visit to Charlie Mom. "It's the sort of Chinese restaurant that was once seen in abundance in New York," wrote Robert Simonson, "the kind that makes cocktails and offers choices from Column A and Column B, and a Peking Duck meal for $19.95." He continued, "Who comes here? I asked my waiter. 'Old man. Old woman,' he said with halting English and stunning frankness. I looked around. My eyes confirmed his blunt assessment. Nearly everyone was old. Very old. They talked of ailments and pensions." So another place that caters to older folks is getting the boot. Once again, it's not a lack of business. It's not because "people" don't eat Chinese food anymore. It's the rent. It's the rent. It's the rent. Have a last meal at Charlie Mom between now and Wednesday at 464 6th Avenue near 11th Street. And if you want to the city to put a stop to these insane rent increases, join #SaveNYC and support the Small Business Jobs Survival Act. Got take out there several times in the late 90's. Very good service. Liked their sign. R.I.P. I am at a loss as to how stores, even chains stay in business with the rent so high. I am at a loss as to how people can afford the market rent on apartments. $4800 for a normal 1br w/ doorman near Carlie Mom's? $1milliion with $1000 maintenance payment for a 750 sf coop? Who are these people? Merely writing "It's the rent. It's the rent. It's the rent." over and over again isn't helpful. One needs to explore and explain WHY rents are high, and propose practical suggestions for how to solve the problem (merely demanding "lower rent" isn't going to result in anything). Scout, are you not paying any attention? Click some links. 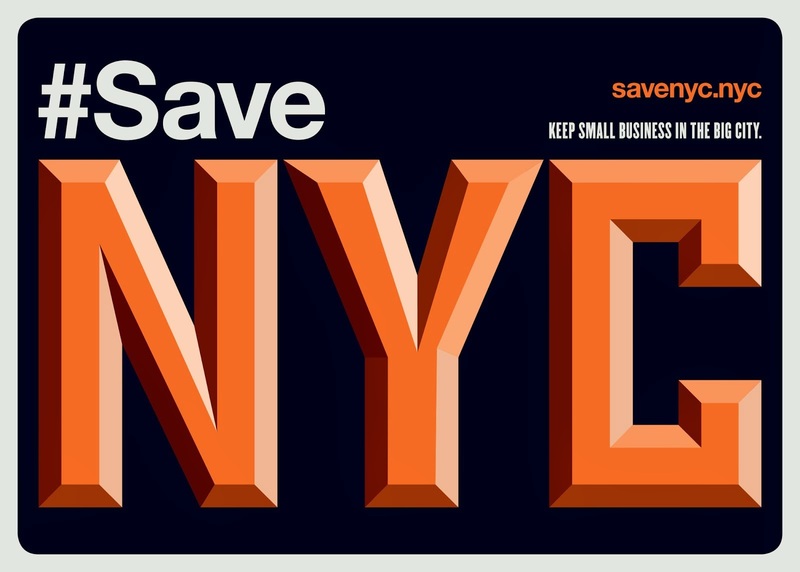 Like to #SaveNYC. The story only mentions rent and hints at changing clientele - i.e. change. No one wants to see the old New York drift away without a good fight. Some of us suspect that the change is virtually universal in our civilization - where we are supplying - willingly - all due force and power to conglomerates who don't care one whit about little restaurants, good values, and happy memories. In other words, there are so many willing to see New York as a discretionary product, and so the market reacts (at least until last Friday). Paying attention? You don't know how much attention is being paid. Although I sympathize with the desires articulated by #SaveNYC, that website offers no thought-out explanation for inflation, rising rents, or rising taxes - all it does is bemoan gentrification and chain stores. Complaining is not solving. Without a deep and intelligent explanation of WHY rents and taxes rise uncontrollably, there can be no solution. #SaveNYC offers no explanation, choosing instead to imply that rising rents are the result of nothing more than property owners' rampant greed. And that's a mindlessly reductive point of view. The reality is much more complex, and deserves to be treated as such. 1) How much annual rent was/is that business paying? 2) How much annual rent is being collected from other tenants in the building? 3) What is the annual property/school tax for the building? 4) How much are other annual expenses for the building owner (water, utilities, maintenance, etc.)? For instance, I just moved out of a 4-story building where I had lived for 22 years. The building was owned by the family that owned a store on the ground floor (that business was a renter from the early 60s to the early 70s, when they bought the building). There were 4 apartments as well. The 2015 NYC tax bull was $96,589. The water bill was roughly $10,000 per year. The total rent collected annually (one apartment was controlled at under $100 per month since the 60s) was (at most) $48,000. That leaves the need for an additional $58,589 per year needed merely to meet the tax and water bills; additional building maintenance, other expenses, and any profit for the owner to live on is not included. And this was a tiny 4-story, 25-foot-wide building. It's shallow dive info like that which can help us to understand the finance of living and working in the city. But then, math and investigation do tend to bore most people. This was my Chinese food place of choice, and no I'm not an old person, I'm 27. I've usually only ordered them for delivery. So, so depressing. Does any other Chinese restaurant in the area compare in terms of this style of old school, americanized Chinese? I really don't think so... Quality always top notch and incredibly consistent. Will be terribly missed. After reading this, I went there to say goodbye. Like the old show "Cheers", "where everybody knows your name"...when I walk into Charlie Mom, they always say "Hi Jeannie". They were like family. I bought a few things to take home and talked to the delivery man who's been there forever. They're not moving, no plans. I know that nothing lasts forever. Jon Vie, Zito's Bakery, Cafe Figaro, Jefferson Market...all of the places that made the village better. Nothing to do but accept it. There is no other Chinese Restaurant around here that compares. Sure going to miss them. Thank you Charlie Mom for years of great food and your friendly treatment of customers! This one hurts. Heck, they all hurt to a greater or lesser degree; I scarcely recognize parts of New York these days. But I've gotten take-out from Charlie Mom for ... can it really be 30 years? They held their ground against flashier newcomers. 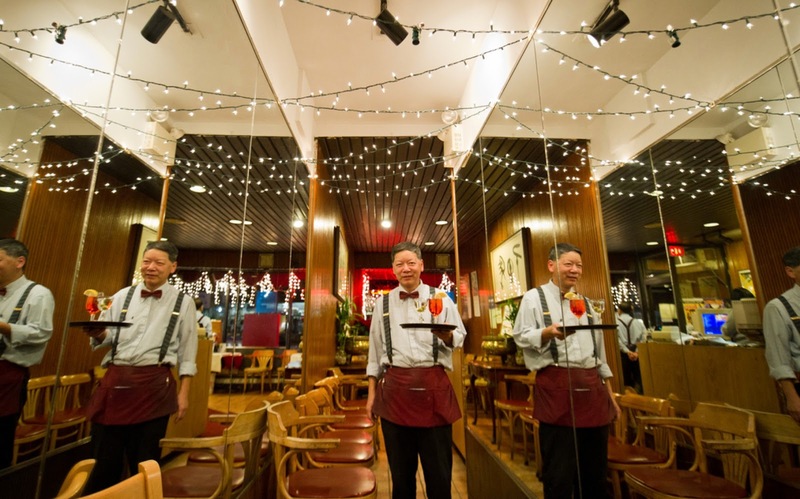 Maybe they weren't 'new and improved,' or Hong Kong style; perhaps they didn't receive the top-level reviews, but they were a solid, reliable source of good, warm, delicious Chinese food whether it be soup and dumplings or a more hearty meal. They will be missed. @mark what's this paper wrapped chicken you are? What's it called on the menu? Btw saw their sign that their last day got extended till August 27 so an extra day to support them. This is very unfortunate news, I have been eating at this restaurant my entire lives, and my parents have been eating there since they were in college. When my mother was pregnant with me, they would order from there all the time, to the point that whenever we would go there in the time since, a particular delivery man would always recognize my parents, and comment on how he remembered when I was just a baby. While I haven't been as often since I left for college, this place was truly a staple of the neighborhood and had food that was superior to most other Chinese options. I know all things eventually come to an end, but this hurts more than I ever could have imagined it hurting, and I really can't help but feel that the village and the culture that it once had, has been totally consumed by gentrification, far beyond what I ever imagined it being. Even though the days of antique stores has long past, the day where all the historic businesses are gone is not to far away. As soon as you got a lunch pass at PS41 many kids headed to Charlie Mom. I'm sure its a sad day for all them an their parents who went back time and again after they moved on. Well, you still have Sammy's noodles across the street. The problem with Sammy's is that you can't eat single person food. Jonah, what is "single person food"? Charlie Mom's was the scene of my only streaking adventure. While waiting for our food to come one night in 1985 or so, my friends offered to pay me to run across the street naked and buy a slice at Original Ray's. Negotiations ensued which ended with a $200 fee for a naked run to the grocery across the street to buy a pineapple. If they were out of pineapples a dozen eggs would be accepted. It was one of those winter-cold-snap, 5-degree nights. Upon my return I grabbed the pants I'd left hanging off a mailbox and discovered that the waiter had locked the glass door. He didn't want any monkey business at his restaurant and a naked man was clearly trouble. I had to plead, pointing down at my pants and shivering while my friends laughed so hard they ruined their appetites. Eventually he relented, I collected my checks (yes, they paid by check and planned to write it off as photography expenses.) and enjoyed a lovely meal. I apologized to the waiter and things returned to whatever passes for normal. So long Charlie Mom, you will always be in my memories. Thank you everyone. i work there couple year. I miss this place. Wow, we didn't know... We were planning to go there to break the yon kipper fast as we have since moving to the west village a few years ago. The staff were great and always remembered our order, as our tastes were predictable . We will miss you. Charlie Mom reliably had the best General Tso's Chicken I've ever tasted - chunks of chicken with minimal fat and/or gristle, light coating, great sauce. I stopped by for dinner over the past 20 years whenever I could - once lived around the corner, but enjoyed returning to the neighborhood from Brooklyn just to eat here. I believe at least two of the waiters were there the entire time. Sad to read about the closing. Scot you are absurd...Jeremiah's review was kind and merely stated what many wanted to know..."Why a place we all loved so much, closed". He even goes on to give a site to at least try to do something. What the F are you doing except complaining? Something I bet you do quite often just to hear the sound of your loud obnoxious holy than thou voice. You say not one damn thing about the restaurant either. Charlie Mom was an institution to my friends and I. Two were seniors however the others between 25-50 yrs old. Most of us live in the neighborhood and have been displaced by rising rents several times. I look on the web often to simply see if anyone knows where their Chefs went or if they reopened under another name? Once these folk knew you as a regular they were always kind to see you. We miss them a lot and if anyone knows the answers to the above, please do tell. Scout you seem like a typical NY'er...have an opinion on everything but want others to do the work for you. Shut up and eat...or dance or pleasure yourself. -Fried Rice that had it all in there including water chestnuts.